Daily Illuminator: Tabletop Adventures Sale For GM's Day! March 4, 2016: Tabletop Adventures Sale For GM's Day! Happy GM's Day! This is a day to let those lords of the table know how much you appreciate them. Sure, maybe they're technically the reason why your characters die, but they're also the storytellers, world creators, and generals of your tabletop group. 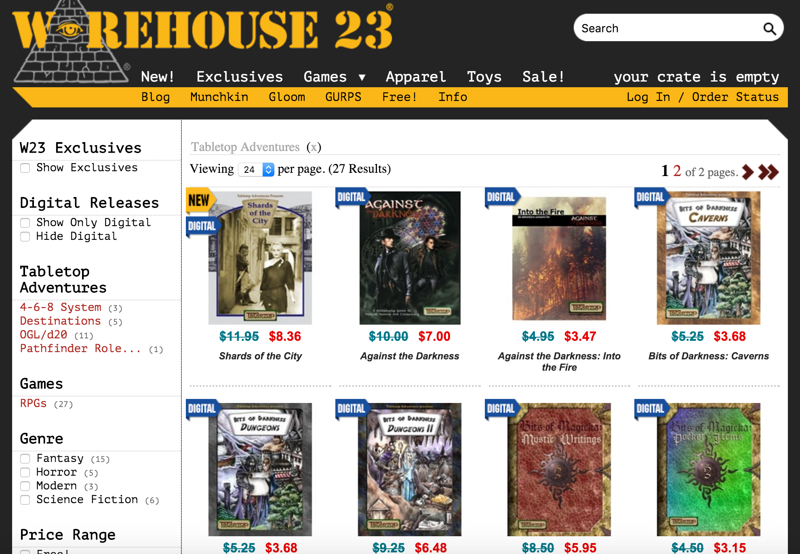 To celebrate this momentous occassion, Tabletop Adventures is holding a sale on Warehouse 23! You can get a smorgasbord of tabletop goodness, all for 30% off right now! The sale ends on March 9th, so gather your party, and surprise your GM with a treasure trove of resources!